First, let me start by saying, “Happy Valentine’s Day!” I hope your day is filled with happiness and love. Actually, I hope you find some chocolate and treat yourself to a glass of champagne. That’s a beautiful thing in and of itself. Like love, She Reads Truth is also a beautiful thing. Isn’t that what we all should believe? And yet they say it so simply but eloquently at the same time. That’s the kind of the thing you will come to expect when diving into their Bible studies. She Reads Truth takes the inspiring words from the Bible and turns them into an even more beautiful creation. They put these words into books filled with photographs that really make the text come alive. They break the books down into specific lessons, which allows you to take something different away from every lesson. And even though I am basically reading the Bible, it feels like I am learning more than I ever have before. 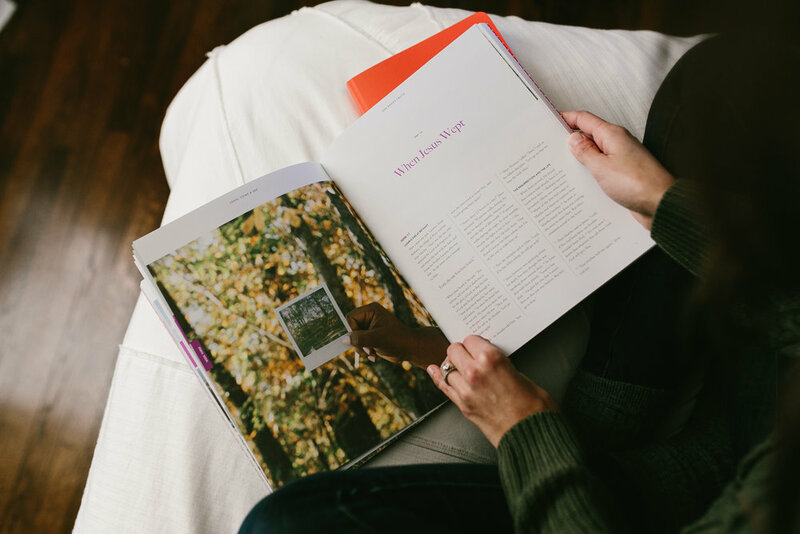 The great news about She Reads Truth is that you can download their app and have those Bible studies sent right to your phone. I’m more of a hardcopy girl myself. But what is also great about She Reads Truth is that there is also a He Reads Truth. So, Adam has his very own “manly” Bible study to work through on his own. But the best part about He Reads Truth is that it brought us together while keeping us in the Word. And what a beautiful thing that is. If you are looking to make your Bible studies a little more beautiful, or just searching for a place to start, I highly recommend She Reads Truth. We started with the book of John. But I already have my eye on our next series, which will be the study of Isaiah in the Lent series. I hope you will use She Reads Truth to open the door to a relationship with Jesus. In life, we are given many blessings from our Lord above. But one of the best gifts He gives us is the gift of laughter. Earlier this month, I spent the weekend with a group of girls that I thank God for everyday. Not only because of their unwavering love and support, but because of their ability to make me laugh so hard at the silliest things. Time with these girls is good for the soul. We sat around the table on our last night together and laughed through the tears as we talked about how thankful we were for each other. I could never put into words what these girls mean to me. So, on this Praise Worthy Wednesday, I praise God for the gifts of laughter and friendship. I praise God for the kinds of friends who bring me joy from something as simple as a game of Dirty Santa. I praise God for the feeling I got when the new baby girl of one of my best friends grabbed hold of my hand. I pray that your friendships bring you this much happiness. And I pray that you live a life full of laughter with the ones you love. As always, a big PRAISE to each of you for taking time to stop by this little blog of mine. Below are some more of my praises for this week.